When it comes to tackling New England weather, you need to be prepared for whatever Mother Nature throws at you. With the new Toyota all-wheel-drive lineup of vehicles, you’ll be ready for any on- or off-road surface you come across. Not sure what the difference is between the Toyota RAV4 AWD and Toyota 4Runner specs? Come on in to our Toyota dealer near Warwick, RI, and view our huge inventory of Toyota all-wheel and 4-wheel-drive models in stock. Our Toyota finance team is always at the ready to answer any Toyota AWD or 4WD inquiries. With just a click or call to Tarbox Toyota, you’ll be closer to getting the keys to the Toyota AWD van, truck or SUV of your dreams. It doesn’t matter where you go in Rhode Island, the Toyota Tacoma will always have your back. Outfitted with available 4WDemand part-time 4WD with electronically controlled transfer case and Automatic Limited-Slip Differential, the Tacoma 4WD truck will be your sidekick on every adventure. Come build your own Toyota Tacoma 4×4 pickup with us and get back on the trails. With an available next-generation Toyota AWD system, the Toyota RAV4 is your ticket to adventure. It’s no surprise that you see so many RAV4 models on the highways and byways of North Kingstown. Whether you opt for regular Toyota All-Wheel Drive or upgrade to the RAV4 with Dynamic Torque Vectoring All-Wheel Drive with Rear Driveline Disconnect, you’ll be ready for all types of conditions. Come buy or lease a new RAV4 AWD model at Tarbox Toyota. It doesn’t matter if you’re going to the store or traveling across New England, the new Toyota Highlander AWD SUV will always have your back. The new Highlander model offers an available Dynamic Torque-Control AWD system, or you can finance a Highlander Hybrid SUV with Electronic On-Demand AWD system with intelligence (AWD-i). 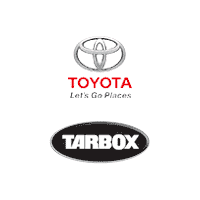 Learn more about Highlander AWD systems when you contact Tarbox Toyota! For those that need 4×4 capabilities in a full-size pickup, look no further than the Toyota Tundra. The new 2019 Tundra offers optional 4WDemand part-time 4WD with electronically controlled transfer case, Active Traction Control and Automatic Limited-Slip Differential, helping you conquer every road around New England. Come buy a new Tundra 4WD truck near Warwick, RI! When you view all the new Toyota 4Runner trims for sale at our North Kingstown, RI, Toyota dealer, one thing will become apparent: That this Toyota AWD SUV is for the thrill seeker in all of us. Visit Tarbox Toyota now and learn more about the 4Runner Dynamic Torque-Control AWD system or ask us about the 4Runner Hybrid with the Electronic On-Demand AWD system with intelligence (AWD-i). Shop for your new Toyota 4Runner today! Conquer the carpool with the spacious new Toyota Sienna minivan. Not only is there space enough for the whole family, but this new Toyota van offers available All-Wheel Drive (AWD) with active torque. No matter where you travel in New England, the all-new 2019 Sienna AWD minivan will ready for the adventure!